For the first time, Bitcoin has reached a the $1,000 mark at MTGox. Less than a year ago, you could buy one Bitcoin for about $15.00. That is a 7000% increase in less than a year. Can Bitcoin reach $10,000 by the end of 2014? It would seem silly to bet against it. A price of $10,000 would only be an increase of 1000% over the next 12 months. That is 1/7 the growth rate of the trailing 12 months. If one major retailer, such as Amazon, decided to accept the method of payment it could happen within weeks. The opposite is also true, if the Chinese government decided to outlaw Bitcoin it could drop back to $15.00 just as quickly. If you came here looking for price assurance, it can not be offered. We can, however, predict that by the end of 2014 the price of 1 Bitcoin will looks something like this: $15.00 < 1BTC < $10,000. Buckle up, or some of you will be thrown from the vehicle. The entire world is migrating towards a paperless society. In 1980, if you wanted to get a copy of a court case, you had to go down to the clerk, pay for the paper, and wait. It could take hours. By 1990, you could pay over the phone, and it could be faxed to your lawyer. You still had to wait, but now it was your paper and you saved a trip. By 1995, the fax could go right into your computer. No paper needed unless you wanted to make a copy. Forward to 2013, and many cases can be downloaded right from government websites, free of charge. There is not a single industry that hasn’t been impacted by the rush to replace paper with technology. Enter virtual currency. Virtual currency has its start in video games. Fifteen years ago gamers began earning virtual dollars. They could buy weapons, land, jewels, food, and whatever else a game offered. Some people started to earn so much money online that they couldn’t spend it all. That surplus became a model for making money. The extra, virtual, dollars could be sold for real dollars. Moving back to 2013, we have a new virtual currency, or cryptocurrency, the Bitcoin. Every day the Bitcoin becomes more popular, and more widely used. Depending on where you live, you can pay for a pizza with it, buy farm fresh produce, get cash from an ATM, or simply invest in it. Some people are afraid of Bitcoin, that may be a wise choice. A year ago one Bitcoin was worth about $13.00. A week ago it reached $900. No one knows where it will be in another year. Regardless of your thoughts on the currency, you are here because you want to buy a Bitcoin, or a fraction of a Bitcoin, and want to know how to do it. First, you need to have a wallet to put it in. We are not talking about the leather thing in your back pocket or purse. You need a virtual wallet. There are many choices for wallets, but the most popular wallets are at Blockchain or downloading a wallet app for you phone from Apple Apps or Google Play. At blockchain.info you can click on the wallet tab and register for a wallet. At the app stores, you can simply download a wallet app. After you have a wallet, you need to know how the wallet works. 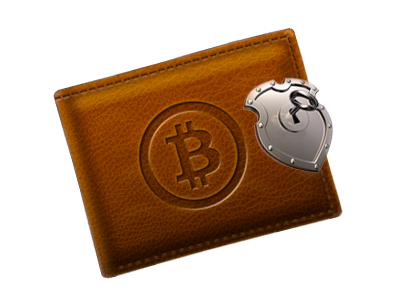 Bitcoin wallets have two keys, a public key and a private key. The public key allows you to accept bitcoin from anyone or anyhwere. The private key allows you to send, or spend, bitcoin. Everyone can see your public key, and hopefully no one can see your private key. You should always keep your private key hidden. If someone gets ahold of your private key, they can spend(steal) your money at any time. If you know someone who owns Bitcoins, the easiest thing to do would be to pay them for the Bitcoin, give them your public key, and have them send you the Bitcoin. If you don’t know anyone with Bitcoin, you have other options. You can go to the site LocalBitcoins. Here you can find people that live near you, trading Bitcoins. If you don’t feel comfortable giving money to a stranger you can deposit money in a Bitcoin exchange, then use that money to buy Bitcoin right from the exchange. The 3 most popular exchanges are MtGox, Bitstamp, and BTCChina. Once you deposit the money into the exchange, you can buy any amount of Bitcoin from the exchange, and transfer it to your wallet. Good luck with Bitcoin, and remember to never share your private key with anyone.